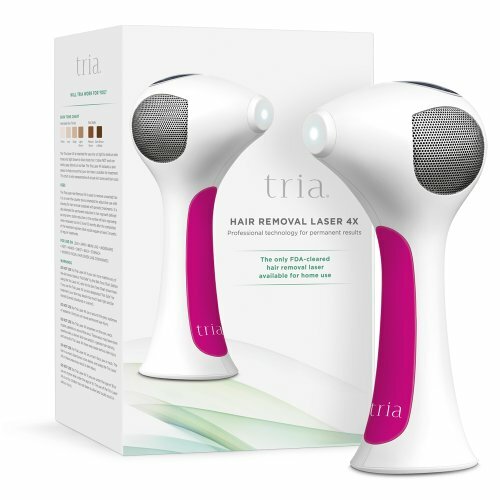 Best Laser Hair Removal Machines at Home (2019) - Hairs Be Gone! 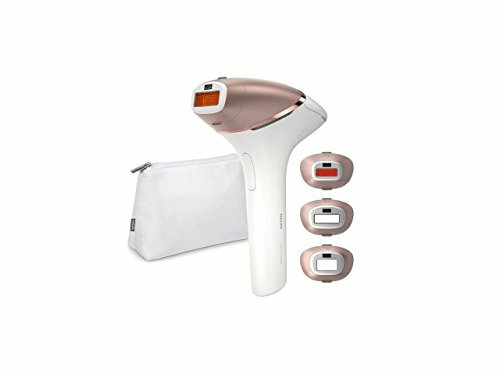 Are Home Lasers and IPL the same? Why Switch to a Home Laser Machine? What to Look for When Buying a Home Laser Hair Removal Machine? Q: Is It Safe to Use Laser Hair Removal at Home? Q: What Is the Best Laser Machine for Home Use? What Is the Best Hair Removal System? Q: Are There Any Side Effects of Laser Hair Removal? Q: Can You Get Skin Cancer from Laser Hair Removal? Q: How Permanent is Laser Hair Removal? How Long Will Laser Hair Removal Last? Q: Can Hair Removal Cause Hormonal Imbalance? Q: What Not to Do BEFORE Laser Hair Removal? What Not to Do AFTER Laser Hair Removal? Q: Can Laser Hair Removal Cause More Hair? Q: Is it OK to Shave the Day of Laser Hair Removal? Q: How Many Days After Laser Hair Removal Can I Tan? Q: How Long After Laser Hair Removal Can I Swim? Q: How Many Days After Laser Hair Removal Does The Hair Fall Out? Q: Can You Shave After Laser Hair Removal? Q: Can I Pluck Hairs After Laser Treatment? Q: Can I Shower Before Laser Hair Removal? Can I Have a Bath After Laser Hair Removal? Q: When Can I Exfoliate After Laser Hair Removal? Q: Can I Use a Moisturizer After Laser Hair Removal? Q: Does Laser Hair Removal Hurt? Is Brazilian Laser Hair Removal Painful? Q: How Many Times Do You Need to Do Laser Hair Removal? Q: How Long Do I Have To Wait Between Laser Hair Removal Treatments? Q: What Is the Best Laser Hair Removal Machine for Back Hair? Tired of unwanted hair growing so fast like they’re on steroids? Do you want to stay smooth and hair free for more than 1 day, 1 week, 1 month, 1 year? If your answer is a big, screaming “YES!”, then this article is for you! I’ve always struggled with unwanted hair, and that could be because of the Yeti strand in my DNA (thanks dad!). My initial session was at a facial clinic. I was assessed and advised that my legs would take 6-8 sessions and underarms 3-4 sessions but wait there’s more…the waiting time between these sessions is 4-6 weeks! Girl, I don’t have time for that! Yeah, I want smooth legs but availability-wise, I can’t commit. I tried searching for another salon or clinic that offers the same treatment thinking I needed a second opinion. And whoa! 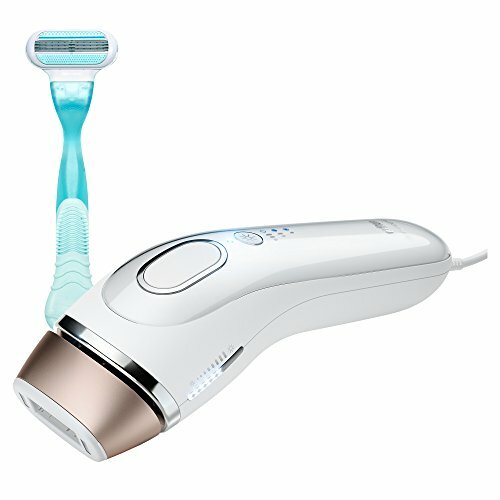 I found something much better: The best laser hair removal machine that I can use from home! I’m #Shookt! “Home laser machine” is a general term used by vendors to address both products. It is important to note that while both Laser and IPL work the same way, they differ in the light used to target the melanin and weaken hair follicles. Laser hair removal uses a concentrated, single wavelength of light and pulse allowing it to penetrate the skin at a deeper level. On the other hand, IPL or Intense Pulsed Light uses a gentler broad-spectrum light. Because of this, Laser tends to be the quickest and most efficient in terms of semi-permanent hair removal while IPL comes a close second and is preferred by people who want a gentler approach to removing skin fuzz. For more detailed information on the different laser types for laser hair removal, read this article! Wait! Semi-permanent? Yes, Laser hair removal is not completely permanent. It can last for a long time, but some hairs will eventually sprout out. Electrolysis is the only permanent hair removal method out there. You can expect hair reduction anywhere between 95% and 40%. Portability – I can take my laser machine everywhere I go. No missed treatments just because I’m elsewhere (in a different state or abroad). 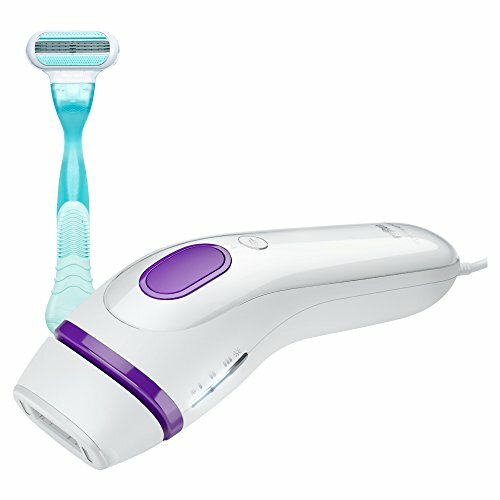 I can zap away unwanted hair right in the comfort of my own home or hotel! Saves Money – I’ve spent enough dough on hair removal products and will probably spend more if I have not purchased my own laser machine and put an end to my unwanted hair dilemma. Fast Results – I don’t have to wait for 4-6 weeks before starting the next treatment, home laser machines are safe enough to be used every two weeks which means, faster results! Bonus: I can control the intensity based on how much I can tolerate. I know I totally flipped when I learned such product is available on the market, but I had to practice a bit of self-control and do a bit of research before I hit that “Add to Cart” button. After all, the price is GOLD, baby! So, what are the things to look for when scouting for the best laser hair removal machine? Make it a habit to check if a product is suitable for your skin and hair color. Most brands use the Fitzpatrick scale (pictured below) as a guide to inform the consumers which skin colors would work well with their laser/ IPL machines. For people with naturally blonde, grey and red hair or the deepest skin tone (level VI), I have the best recommendation for you which I will discuss later. You may also try other permanent hair removal methods such as electrolysis. You’d want a machine that can safely work on different areas of the body. Operative word: safely – not all machines are created equal. Some machines are FDA approved and are safe to be used on the face, others are not. This is the part of the machine that comes in contact with your skin. You’ll need a bigger window for the legs and a smaller one for the face, underarms and bikini line. It’ll be a plus if the machine comes with changeable windows to fit your different needs! This will determine how long you can use your machine for. This goes hand in hand with the first bullet point. Your face won’t require the same amount of flashes and sessions as you would for your legs. So, before settling with the least/most amount of flashes, consider where you’d use it on and the number of sessions you’ll need. Find a machine that is not too bulky and complicated to use. Make sure the handheld device fits your hands perfectly and is not too big and heavy. If you’re planning to use your machine for different parts of the body, then it’s best to choose something that offers a variety of settings to efficiently work on different hair types. If it comes with a technology that can detect your skin and hair conditions and suggest a level that would work for that, then you have a winner! Important Consideration for Tattooed skin: As most tattoos contain dark or colorful pigments, laser machines might not be able to read the contrast between your skin and hair in these areas and might cause serious burns. Avoid areas with tattoos at all cost! Now that you know what to look for when searching for the best laser hair removal machine on the market, let me introduce you to the best and brightest players in the field of home lasers (including my favorite!). 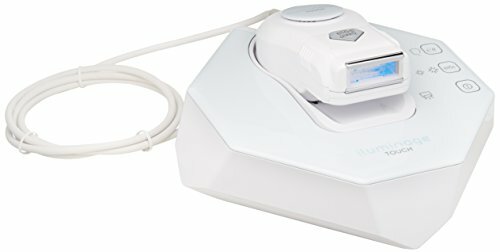 The first FDA-approved home laser that uses the same Diode Laser Technology used by dermatologists. Eliminates hair quickly and effectively at a fraction of the cost. No more crazy appointments and traveling to the doc’s office, just smooth and hair free skin right in the comfort of your own home. Important Note: Suitable for skin tone levels 1-4 skin tone and black to light brown hair. Comes in a sleek, cordless and easy to handle design. Has an unlock feature that tests your skin and hair prior to your first use to ensure that Tria 4x is safe for your skin tone. Keeps track of the number of treatments you’ve done. Small treatment window takes time to treat larger areas. Long charging hours and short battery life. Can’t be used when plugged in/charging. Stings a bit (but nothing you can’t handle). Considered as one of the best laser hair removal machine brands, Philips took ingenuity to a whole new level. The Lumea model is completely multifunctional and smart. It comes with different sizes of curved window attachments and a Smart Sensor that auto selects the perfect intensity for each area. You’ll get the best laser treatment for the face and body all in one handy-dandy machine! Important Note: Suitable on skin tone levels 1-5 and black to light brown hair. Classy design, cordless and easy to hold. Comes with interchangeable windows for treating different body parts. Can be used as cordless or plugged. Two of the biggest names in the hair removal industry collaborated to give you smooth and fuzz-free skin for a longer time than shaving or waxing! 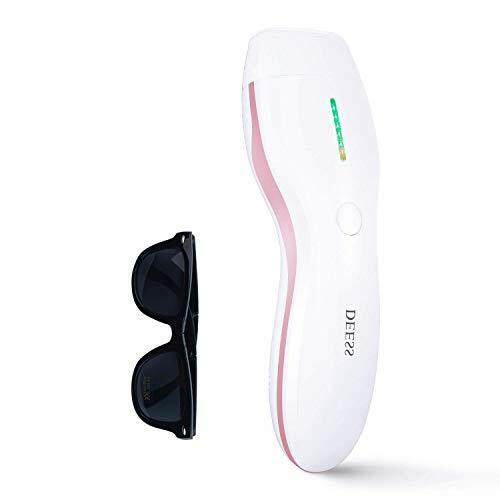 This easy to use IPL wonder has a wider window that treats larger areas quickly and a sensor that detects skin tone and emits the right intensity. You can be assured of safe and effective hair removal without breaking the bank. Easy to use and ergonomically designed. Large treatment window is great for the leg area. Corded (but ensures interruption-free usage). Large treatment window can be tricky to use on the face. Only has 3 intensity settings. Great things come in small packages. This FDA approved system has unlimited flashes like no other. Thanks to its low IPL level, the flashes are produced in rapid succession with lesser recharge time in between. It’s gentle enough to be used on dark skin tones, you’ll go from hairy Yeti to smooth Betty in no time! The low energy intensity level is perfect for the face. Great for medium to dark skin tones. Only has one setting available. Just concerned over your peach fuzz? Worry no more! This product has the right amount of flashes to treat small and sensitive areas like your face. Its HPL (Home Pulsed Light) technology emits uber gentle light pulses that are tough on the hair root but gentle on your skin. Important Note: Suitable on skin tone levels 1-3 and black to light brown hair. Its treatment window size is perfect for small, sensitive areas. A bit overpriced for 5,000 flashes. Interested in other facial hair removal methods? Read these two articles: how to get rid of chin hair and best upper lip hair removal methods. Say hello to smooth and hair-free skin! iLight uses IPL technology to stop hair growth at the root. 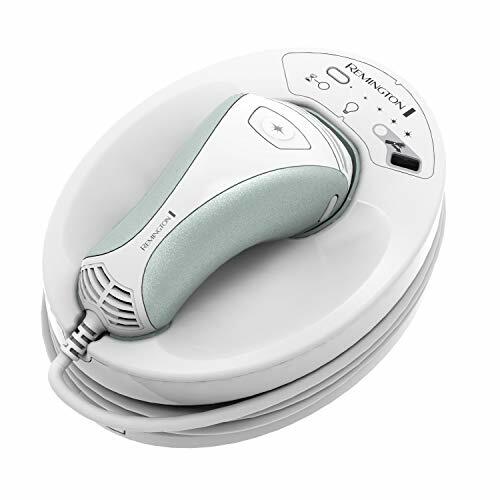 It’s electronically powered so you can zap away unwanted hair in an instant. No waiting, no downtime. Expect visible results as early as your third treatment! We also have a different Remington review: Remington iLight Pro! Important Note: Suitable on skin tone levels 1-4 and black to light brown hair. Has 5 intensity level settings. Has a skin tone sensor that adapts the intensity level to the area being treated. Comes with a facial cap (for treating the cheek area and below). A bit expensive considering the number of flashes. Don’t be fooled by its size nor its affordable price, Deess deliver the same salon quality results! FDA approved and comes with enough flashes to last you a lifetime, this baby comes in a variety of color (Purple, I love you!). Painless, quick, no fuss, safe and effective technology, everything we need in one compact machine! Affordable, great value for money. Compact, no bulky pieces, easy to handle and use. Quick (20-25 flashes/minute) and painless. Multifunction machine (You can replace the hair removal lamp with an acne lamp that’s sold separately). Only 1 button to turn on the machine and adjust intensity levels. Perfect for women with PCOS and genetic conditions like Hirsutism (excessive hair growth), Venus Silk Expert IPL 5001 offers a visible reduction in hair growth as early as 4 weeks after treatment. With lower time in between flashes (compared to previous versions) and a gliding mode, you can be assured that this hair removal is fast and effortless. Has two modes: Gentle and Normal (perfect for newbies). Has SensoAdapt™ feature that reads the skin tone and suggests a level of intensity. Gliding mode option allows more flashes and less missed spots. The design is a bit hard to handle (especially if you have to click the button). With its patented HPL technology that gently targets hair from the roots, Luxx offers efficient and safe hair removal with visible results in as early as 2-4 treatments. It comes with a free trimmer to prep the area that needs treatment. Hold on PCOS sisters, smooth, hair-free skin will soon be yours! Compact design that is easy to hold and use. 120,000 flashes and an extra cartridge with 5,000 flashes. Has a skin sensor and 3 levels of intensity. Great for sensitive areas (like face and bikini line) with dark hair. Cannot be used on light facial hairs (peach fuzz). What is the best hair removal machine? Definitely this machine! FDA approved and the first of its kind. It combines the amazing energies of IPL and RF (Radio Frequency) to form what is known as Elos energy, this gem offers permanent and safe hair removal even for the darkest tones and the lightest of hairs. Truly an all-inclusive product, it works well on your body too! Important Note: Suitable on ALL SKIN TONES (levels 1-6) and ALL HAIR COLORS (including white, blond, gray and red). Elos energy makes it safe for all skin and hair color. Replacement cartridge is available once the flashes are used up. Comes with precision attachment for the face, an epilator head, and goggles. Corded (This is an amazing product, I’m just not a fan of tangled cords!). No matter what skin and hair you’re in, Me Smooth has got you covered! With the dual powers of IPL and RF, hair is targeted on different layers allowing safe and effective hair removal. You’ll never be left behind with this one! Great on all skin/hair tones. Packs on enough flashes to complete your treatment and for touch-ups. Absolutely! If you choose the right FDA approved product (recommended products above!) and follow the instructions to a T, I don’t see any reasons why it wouldn’t be safe. The best laser machine for home use should be compact and easy to use wherever you are in the house (even if you are away from the electric socket!). I love Philips Lumea because it’s such a great all-in-one product that is cordless, so I can bring and use it from the bathroom to the bedroom. Great product that offers true value! Depending on your skin tone and type, some people may experience redness, irritation, and discoloration if the wrong product or setting is used. This remains as a myth. No study or research has proven that lasers used in laser hair removal can eventually cause cancer. The only risks noted were redness, irritation and some discoloration which differs from one person to another and how they use the product. It all depends on the area being treated and the hair type. Although lasers are not as permanent as electrolysis, you’ll stay hair-free for an average of 6-12 months after your final treatment. An annual touch up may be required to keep the results longer. As these lasers attack the roots, they deteriorate completely over time disabling them to produce hair resulting in a longer smooth-skin-feel. No. Some studies concluded that lasers can stimulate and hasten hair regrowth for people with existing hormonal imbalance but not for those with balanced hormonal levels. No Tanning – This makes your skin sensitive to lasers and might affect its efficiency. Don’t wax or epilate (unless required by the product, most products only require shaving for efficiency). Don’t drink caffeine – You wouldn’t want to be jumpy and nervous during your session. Don’t use NSAIDs (aspirin, ibuprofen, etc.) a week or two before treatment as these drugs can make you photosensitive and susceptible to bruising. Never skip the patch test – you need to see how your skin reacts to the laser. Don’t skip a shower before treatment – a clean body/area increases the laser’s efficiency. Don’t skip and skimp on sunscreen. Don’t wear tight restrictive clothing. Don’t take part in physical activities that make you sweat excessively. Jacuzzis, saunas and swimming pools are to be avoided. Only for people with hormonal imbalance. For home use, it is much better to shave at least a day before your treatment to give your skin some time to heal or recover. Plus, then the laser can actually ‘catch’ the hair’s location. 2-4 weeks after your treatment is suggested to avoid any adverse reactions. You have to wait for 24 – 48 after treatment to give your skin time to recuperate from being in a heat sensitive state. For me, I began seeing results right after treatment (I can easily pluck some hairs with my fingers). Approximately, it takes 4-10 days to see a drastic amount of hair shedding. If you’re wondering how soon can you shave after laser hair removal, then know that you can shave 48 hours after your treatment or in between sessions for as long as your skin is not irritated. Plucking and epilating the hair is highly discouraged. As you’re pulling the hairs from the root, which is the same as shaving after waxing, you’re reversing the benefits. Taking a shower is highly recommended before treatment. Showering removes oil, dirt and dead skin cells that may affect the laser’s efficiency. It’s not advised to shower within 24 – 48 hours after treatment as your skin is still sensitive to heat. People with normal skin can exfoliate as early as 3-4 days after treatment. If you have sensitive skin wait for at least a week before you exfoliate. Exfoliating is highly encouraged to prevent ingrown hairs. Yes! It is recommended to use a gentle, fragrance-free moisturizer after laser hair removal. This will help protect your skin and nurse it back to health. I used Aloe Vera gel. Depending on your pain tolerance and the level of intensity, laser hair removal can be painless or may sting a bit (like you’ve been snapped with a rubber band). Lower intensities are gentle and nearly painless but might take a few more sessions to complete your treatment than using maximum intensity. Due to the sensitivity of the area, doing a Brazilian may hurt if you’re using the highest intensity. I suggest beginning with a gentler intensity and work your way up as you build your tolerance. It all depends on the area you’re treating. Face and underarms normally require 3-4 sessions while bigger areas (like your arms and legs) and areas with thicker hair (bikini line) may require 6-8 sessions. What’s good with these home laser machines is that you only wait for two weeks before starting your next treatment. Definitely the Philips Lumea. It’s cordless so you can take it anywhere and has different treatment window attachments, there’s definitely one that would work well for your back! Note: if you’re treating the back area, have someone do it for you! The best laser hair removal machine is a great investment that can put an end to continuous shaving, waxing, and plucking. You get the same salon or clinic results right at home and for a lesser cost. Choosing the right product based on skin and hair color plays a big role in your overall hair removal success. My recommendations above are all FDA approved and guaranteed gentle on specified skin and hair tones. I’m glad to share my two cents on laser hair removal (I know it seems more like 5 bucks, lengthwise!). Feel free to share your experiences on the products above and any recommendations, we’re on this journey together!